French superstar Gael Monfils will start the new year in Perth at Hopman Cup 2016, as the event continues to attract some of the world’s best tennis players. Monfils, one of the most entertaining players on the professional circuit, will be joined by rising star Caroline Garcia for Team France when the event gets underway at Perth Arena from 3-9 January. Also heading to Western Australia is Team Ukraine, represented at the Hopman Cup for the first time in 21 years by Alexandr Dolgopolov and world No.18 Elina Svitolina. 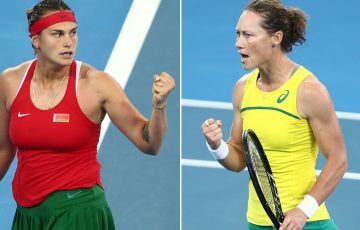 Team France and Ukraine join world No.3 Andy Murray and Heather Watson of Great Britain and hometown heroes Lleyton Hewitt and Casey Dellacqua for Australia Gold to round out the first half of the field for 2016. Best known for his electrifying on-court persona, Monfils has plenty of experience playing for his country as a passionate Davis Cup player since 2009, including the showdown against Switzerland in the 2014 final. The popular Frenchman holds five singles titles and this year has defeated a number of top 20 players including 17-time Grand Slam champion Roger Federer and Davis Cup team mate Jo-Wilfried Tsonga. 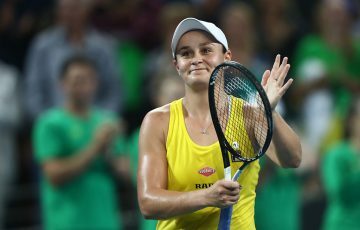 The 29-year-old values the high standard of match play the Hopman Cup offers players ahead of the first Grand Slam of the year. “[There are] a lot of good players [in Perth]… It’s always good to have good matches [under] your belt before a Slam,” Monfils, the former world No.7 said. “Three matches at [the] top level [are] guaranteed… it’s always good to have this. Garcia is the fourteenth French woman to represent her country at the Hopman Cup in January. The 21-year-old reached the third round of the Australian Open in January and made the final of Acapulco and Monterrey this year. Garcia, who currently holds a world No.13 ranking for doubles, is thrilled to be playing the event. “I’m very excited to play Hopman Cup for the first time. 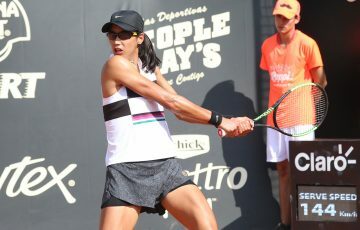 I have seen it on television a couple of times, each time it looks very fun, a great competition [and] a lot of very good players,” Garcia said. “So many people come to see all the matches, so I’m so excited. Monfils and Garcia will be looking to win France’s second Hopman Cup title after compatriot’s Tsonga and Alize Cornet won the nation’s first title in 2014. Ukraine is vying to win their first Hopman Cup in the country’s fourth appearance. Ukraine was last represented at the event by brother sister duo, former world No.4 Andrei Medvedev and Natalia Medvedeva from 1993 to 1995. The pair finished as runners-up to Germany’s Boris Becker and Anke Huber in 1995. 26-year-old Dolgopolov is known as one of the most approachable players on tour. Always smiling, his casual nature makes him popular with fans all over the world. The No.1 Ukrainian has finished three of the past four years ranked inside the top 25. In June he toppled current world No.8 Rafael Nadal at Queens, one of the biggest wins of his career. “It’s the first time for me there [Perth]. 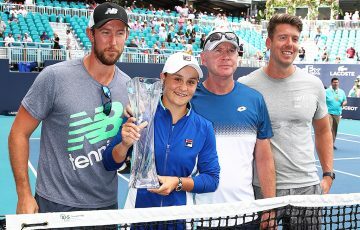 I’ve heard a lot of nice things about it from players so I’m really excited to go,” Dolgopolov said ahead of his first visit to Western Australia. Partnering Dolgopolov is up-and-comer Svitolina who reached a career high ranking of 15 in August. Svitolina has enjoyed a breakthrough season, winning her third singles title in Marrakech, advancing to the quarterfinals at Roland Garros and semifinal appearances at Brisbane, Bogota, Stanford and Cincinnati. “It’s always nice to play together when you are from the same country. It’s going to be a great opportunity, so I’m really happy,” 21-year-old Svitolina said about pairing up with Dolgopolov. 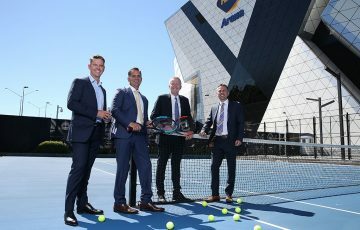 Hopman Cup Tournament Director Paul Kilderry looks forward to welcoming the players to Perth in January. “Monfils is an international tennis superstar and we are thrilled he will be coming to Perth for Hopman Cup,” Kilderry said. “Gael is always a crowd favourite and a true entertainer – he’s renowned for having a lot of fun on court. I know the fans will embrace both he and Caroline when they are here. “Dolgopolov and Svitolina are both rising stars of international tennis, they have big futures and have the chance to do well at Hopman Cup 2016 as the event continues to bring some of the world’s best players to Perth. 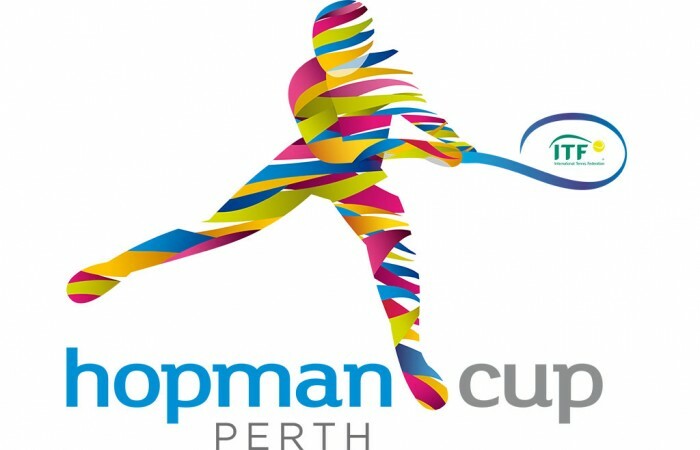 The full player field and draw for Hopman Cup 2016 will be released in late October.